When we think of weeds, we think ugly! Well, they’re not all ugly! They’ve been prominent in some of my images recently and today I decided to feature a few photos where weeds play a major role. 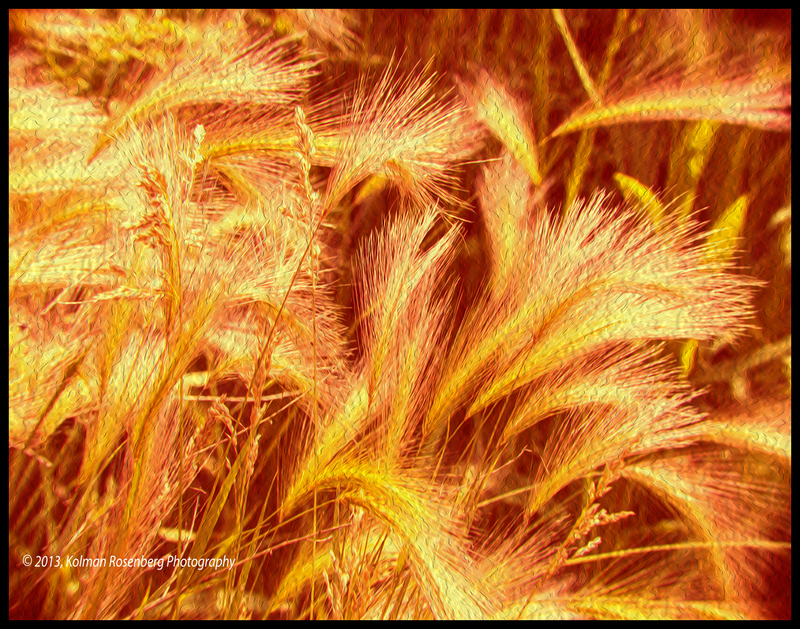 The first one is entirely weeds and I’ve done some extensive editing to change the color and add some texture. The second photo was shot with a Lensbaby, an optic which blurs much of the photo leaving a sweet spot in focus. 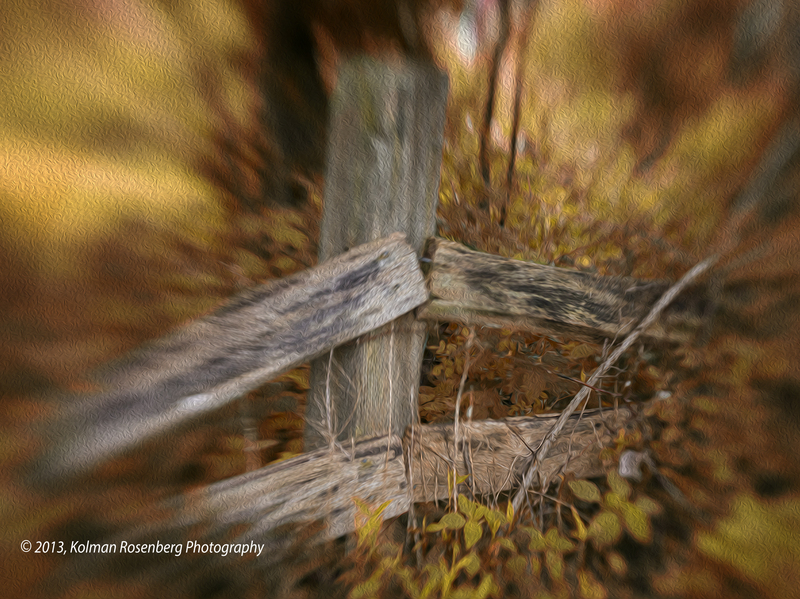 This broken fence is surrounded with weeds and again extensive editing turned green foliage brown and a filter was added to produce the oil painting textured look. Who said weeds have to be ugly? This entry was posted in Uncategorized and tagged editing, oil painting filter, photoshop, Texture, weeds. Bookmark the permalink. Although forgotten by most, weeds have their place in this world. They provide protection to plants and foliage. They prevent soil erosion as well as habitats for some species of animals. The weeds you have photographed are strikingly beautiful in their own right. I am glad you were able to photographic them in a different light allowing their colors to make the most momentous appearance. Thank you for that unexpected appreciation of nature at its best. Thanks Lin! Good points you make about the weeds! Many are absolutely beautiful as well!